It's the Rheo Thing: Is this Duck-ageddon?!?! Rubber ducks are in the news a lot lately. And they are getting bigger with time. 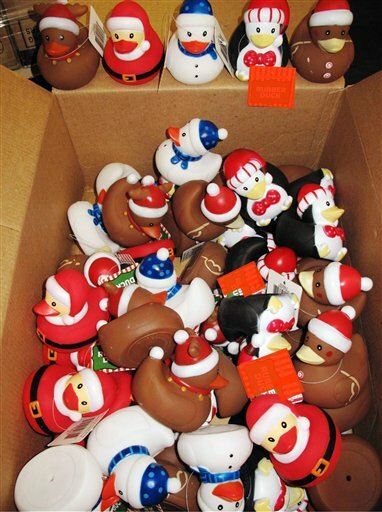 First, back on December 4th, US Customs seized a shipment of 36,000 rubber ducks that recently arrived from China. The reason? The duckies were too high in phthalate concentration. (Sorry, no more details than that. What phthalate? And how high is too high?) Since phthalates were being used, I suspect that in fact the duckies were not rubber duckies but were in fact made of vinyl. Thank goodness these were your run of the mill, bathtub sized rubber ducks. The other ducks in the news were much larger. 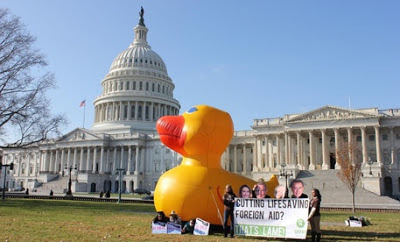 On December 5th, Oxfam America had a 15-foot inflated duck on the US Capital Mall. The reason? It's a lame-duck session of Congress. 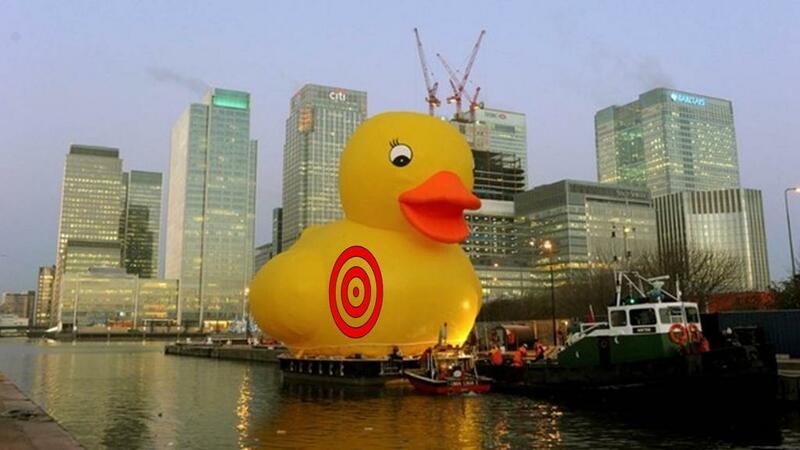 But the monster-sized duck that invaded England today is the stuff of nightmares (or another Ghostbusters movie). Set your eyes upon the 50-foot tall inflated duck that floated down the river Thames earlier today as a publicity effort for Facebook. 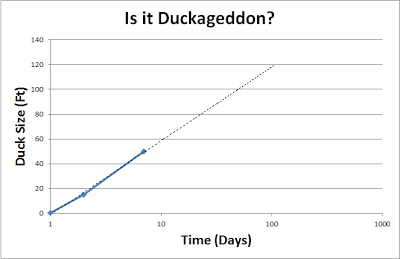 So we've gone from a 3-inch duck to a 15 foot duck overnight, and then to a 50-foot duck in a week. So is this the end? Is this the way that the Mayans predicted our doom? That the earth will be overrun with ever larger ducks? 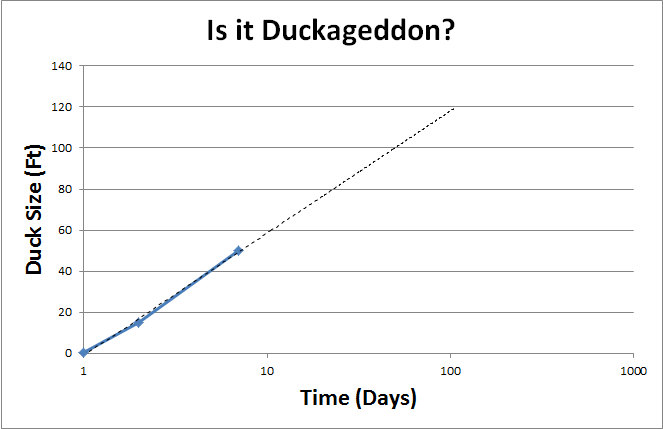 100 days from now, the ducks will still be just 120 feet tall, not a serious threat to civilization. Even 1000 days out (3 years) the height will only be 180 feet. No, we're safe for a while. But just remember the next time you see a giant duck that you were warned.